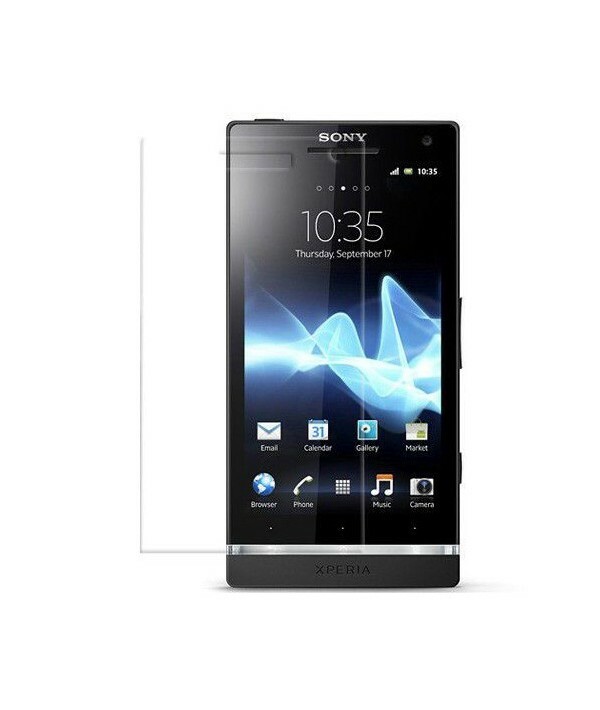 Get more protection for you Sony Ericsson Xperia S with this plastic film which protects your Sony Ericsson Xperia S from scratches and everyday accidents. Invisible deluxe screen protector film for the Sony Ericsson Xperia S. Comes with an applicator and cleaning cloth. Protecting your Ericsson Xperia S with a screen protector film is essential. Screens undergo all manner of knocks and scrapes in everyday life and micro scratches on the screen are inevitable.Ensure that your telephone has a long scratch-free life by using our ultra thin, plastic protector film which is designed especially for the Sony Ericsson Xperia S.If you love your Ericsson Xperia S why not save it from those nasty scratches that will ruin its look, with our Ericsson Xperia S plastic protector film. Your customized case for Ericsson Xperia S will be shipped usually within 48 hours.